Beans, beans the magical fruit, the more you eat the more you… well… you know. July 3rd is National Eat Beans Day. This is a day to celebrate the bean vegetable in all its forms. 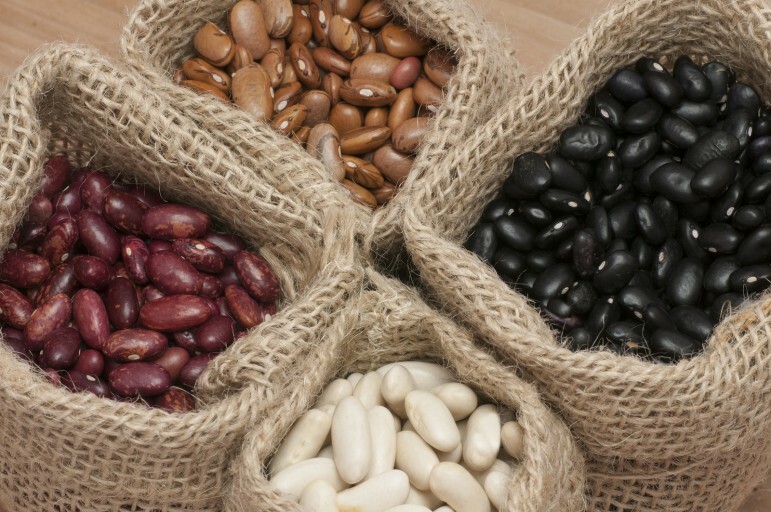 Were you aware that beans are virtually free of fat, high in protein, and contain more fiber than whole grain foods? According to the American Heart Association eating beans as part of a heart healthy diet and lifestyle may help improve your blood cholesterol, a leading cause of heart disease. Adding beans to your diet may also help keep you feeling full longer which can help you with weight management. It is recommended by the USDA that adults eat at least three cups of beans every week to obtain their maximum health benefits. That is three times more than Americans current average consumption. In honor of the extremely healthy and beneficial bean vegetables on their special day, have a look at these fascinating bean facts. Apart from the above mentioned health benefits, beans also contain calcium, iron, folic acid and potassium. There are around 40,000 bean varieties in the world. Only a small portion of these are mass-produced for regular consumption. North Dakota, Michigan, and Nebraska are the top bean growers in the US. Ancient Egyptians grew beans. According to “Food in the Ancient World” by Joan Pilsbury Alcock, fava beans, chickpeas, and lentils were found in Egyptian tombs dating back at least 4,000 years. Bean genetics have remained stable over the years. Beans from thousands of years ago are genetically very close to the beans we eat today. Some of the more popular beans are lima, kidney, pinto, garbanzo (chickpeas), black, lentil, and great-northern. The oligosaccharides (complex carbs) in beans can cause flatulence when not eaten regularly. (Hence the children’s rhyme.) Eating beans at least once or twice a week may help reduce this affect. Use a hot-soak method to soften dry beans and drain before cooking to reduce the oligosaccharides and stop flatulence. The beans (legumes) that cause the least amount of flatulence are adzuki beans, black-eyed peas, lentils, mung beans, and split peas. Dry beans are better for you than canned because they contain less sodium. If you eat canned, rinse them well to drop the sodium levels. You can freeze cooked beans for up to six months. Before reheating thaw them in the refrigerator overnight. Nearly six to 11 percent of a cooked beans weight is protein. Cook up your favorite bean recipe for dinner tonight in celebration of Eat Beans Day! If you don’t have a bean recipe on hand, check out these recipes on Fill Your Plate. For beans grown locally, click on find a farm product and type in beans. This entry was posted in Diet Tips, Fun Food Facts, Healthy Eating and tagged Beans, Chickpea, cooking, Fill Your Plate, food, Healthy Eating, local food, Nutrition. Bookmark the permalink.